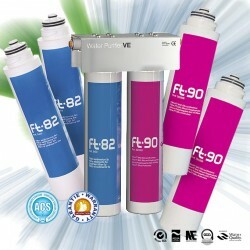 Water filters anti-scale by silico-polyphosphates coupled to a water purification by activated carbon and silver: FT LINE VE, FT LINE 90, SPECIAL PACK FT LINE VE. Purifiers-anti-scale There are 3 products. 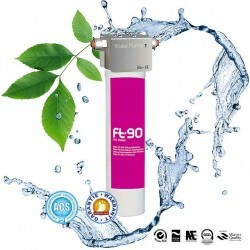 Water Purifier anti-scale Ft Line VE equipped with a cartridge 5 microns to pre-filter and a cartridge composed of activated carbon silver silico polyphosphates to purify and soften water. Ft Line VE is very compact and easily fits everywhere. The connection is simple. Ft Line VE is certified to European approvals. Shipping is free. 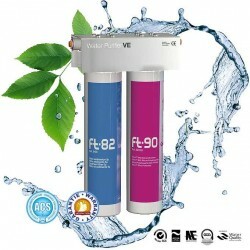 The package Ft Line VE includes a device anti-scale purifier with 2 cartridge of 5 microns and 2 cartridges composed of silver GAC activated carbon + silico-polyphosphates to purify and soften water. Ft Line VE is very compact and easily installed anywhere. The connectors are quick and simple. Shipping is free.